London Irish forward Chris Hala'ufia has been suspended for four weeks by the Rugby Football Union. The Tongan was found guilty at a disciplinary hearing of a tip tackle on David Seymour in Irish's 15-3 defeat at Sale Sharks on 20 December. The ban, which ends on 19 January, includes Premiership matches against Gloucester and Worcester Warriors. 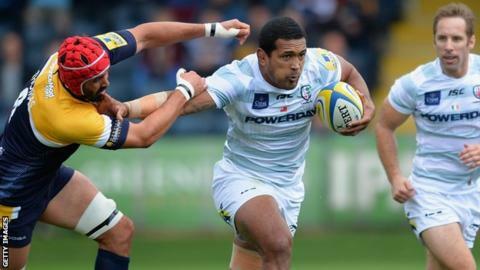 Hala'ufia, 34, had a five-week ban for a tip tackle in a match against London Welsh overturned on appeal last year.